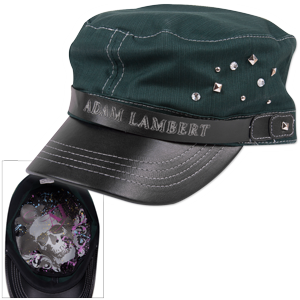 Green cabbie hat featuring studs on the left side, and Adam Lambert printed on the front. The inside of the hat has a skull graphic printed on it. 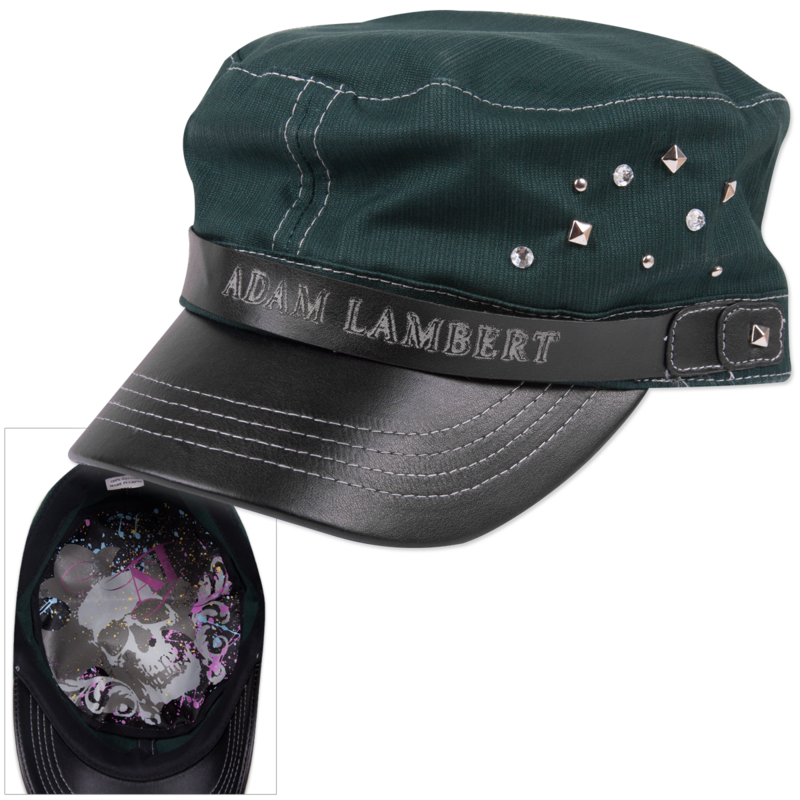 I don't wear hats I just collect Adam Lambert memorabilia. If I did wear them I would proudly wear this one. I love the way it's made and it fits well.